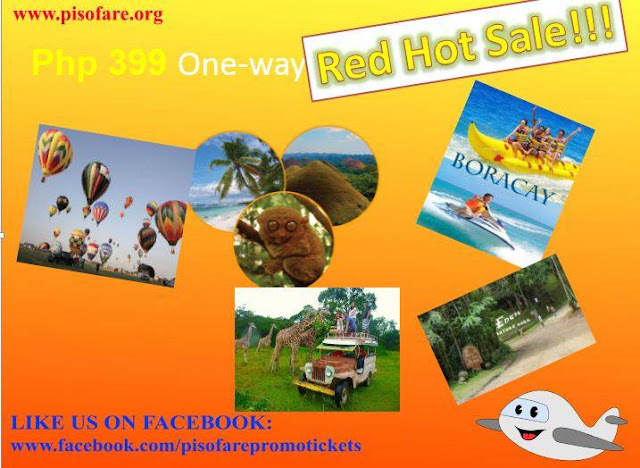 Piso Fare Promo: There are more reasons why AirAsia Philippines has to give out their promo fares for as low as Php 399. They have just been recently awarded for the 9th consecutive time as the World's Best Low-Cost Carrier by Skytrax. You can enjoy this all-in one way fare if you fly from Cebu to Kalibo, Davao, Taipei and many more destinations! So head to on AirAsia's webisite here to book your tickets and make sure to save a lot of patience when finding promo tickets. Take note of the booking period: July 3 to July 9, 2017. Travel period: January 15 to August 28, 2018. As you know, booking promo fares on the website is a bit of a challenge. As we have said above, a little patience is really needed as dates that you wanted to travel might be booked already. So you have to find another alternative date. Tickets are still exclusive of mandatory taxes and necessary fees. But at least, the fare are still lower! That's something you can take advantage of. You still have a few days for a chance to book a cheaper fare. Do hope that you will be having a 1pisofare promo from october 2017 to april 2018. Ongoing promo of Cebu Pacific. Promo ticket up to 20% Off!